Home Uncategorized The Astoria Flea is Here to Stay! …For a Little Longer. The Astoria Flea is Here to Stay! …For a Little Longer. If you haven’t checked out the Astoria Flea, it’s been going on every Sunday since May 4th. It was supposed to end after eight weekends, but after being met with hugely awesome reviews and giant crowds, it’s been extended! The flea will now run through Labor Day – so you’ve got the entire summer to go visit! There’s so much to check out. Vendors are selling clothing, jewelry, hand made soaps, and best of all: food. Here’s some pictures from Flea go’ers! 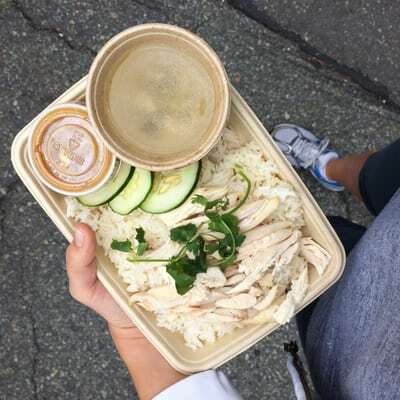 Vendy award winning khao man gai. -Daina A. Yelp. 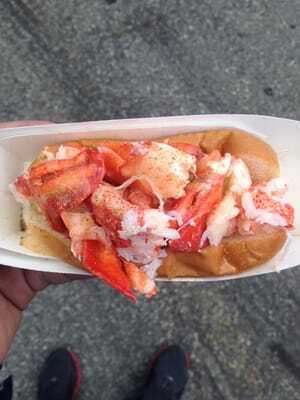 Lobster Roll – $16. Percy D. Yelp. Vegetarian okonomiyaki deluxe (with mozzarella, tomato and chipotle mayo). -Alisa H. Instagram. Also, there’s vendors that are there some weeks, and different ones other weeks. What we’re saying is, each week at the Astoria Flea is a new experience – you could go every Sunday and try something new every time. If you go, take some pictures and tag us with #givemeastoria! The flea is open from 10 am to 6 pm every Sunday. Enter through the Kaufman Astoria Studio gate at 35th Ave and 36th Street! Previous articleCHEERING FOR THE USA!